Red Chillies Entertainment’s upcoming film ‘Badla’ starring Amitabh Bachchan is all set to hit the screens on the 8th of March 2019. The crime thriller drama is all set to reunite Amitabh Bachchan and Taapsee Pannu after the success of the critically acclaimed Pink. Badla, directed by Sujoy Ghosh, will present the two actors in pivotal roles. The movie has been shot extensively in London and Scotland. The legendary actor had earlier shared the news of the film going on floors in London with a social media post. The team has recently wrapped the schedule of the film. While Amitabh Bachchan and Shah Rukh Khan have shared the screen together for multiple films, Badla will mark the first of its kind collaboration between producer Shah Rukh Khan along with Amitabh Bachchan. 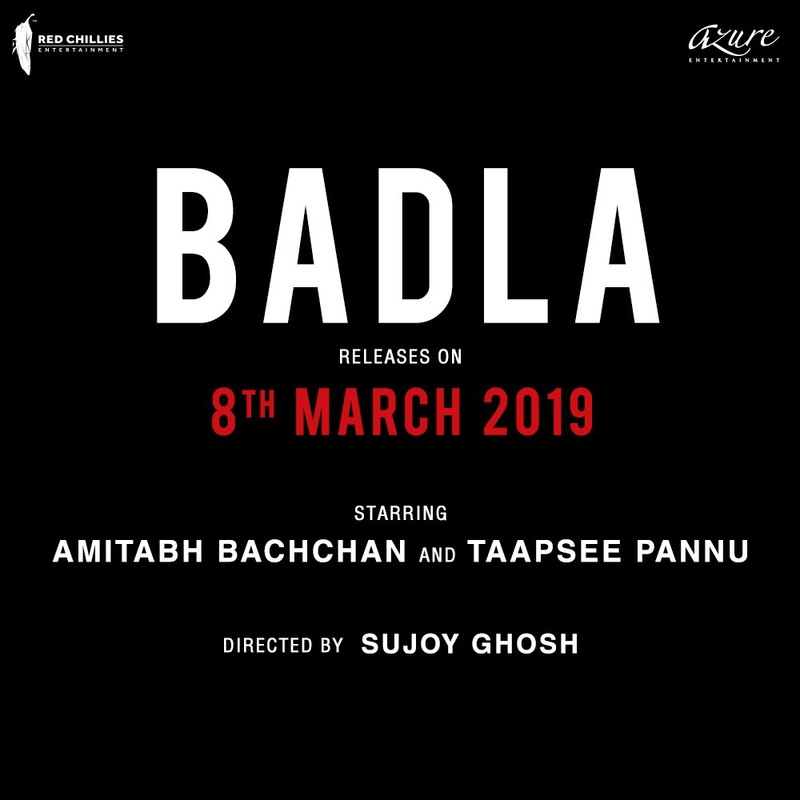 Produced by Red Chillies Entertainment in association with Azure Entertainment, Balda is a thriller crime drama directed by Sujoy Ghosh, starring Amitabh Bachchan and Tapsee Pannu. The film is slated to release on 8th March 2019.